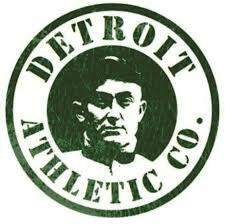 The CAFC's opinion in In re Detroit Athletic Co., 128 USPQ2d 1047 (Fed. Cir. 2018) [precedential], is a primer on much of the law of Section 2(d) as applied by the TTAB. The appellate court upheld the Board's affirmance of a refusal to register the mark DETROIT ATHLETIC CO. for sports apparel retail services [ATHLETIC CO. disclaimed] in view of the registered mark DETROIT ATHLETIC CLUB for various clothing items [ATHLETIC CLUB disclaimed], both marks being in standard character form. The Board concluded that "because the marks are similar, the goods and services related, and the channels of trade and consumers overlap," consumers are likely to be confused by the marks. The CAFC ruled that the Board's conclusion was supported by substantial evidence. The Marks: The court agreed that the marks are identical in structure and have a similar appearance, sound, connotation, and commercial impression. "These similarities go a long way toward causing confusion among consumers." The fact that the marks begin with the same two words is "particularly significant because consumers typically notice those words first." The "lead words are their dominant portion and are likely to make the greatest impression on consumers." This "weighs heavily" in the du Pont analysis. Contrary to appellant's argument, the Board did not ignore the words COMPANY and CO. but rather considered the marks in their entireties, and it did not err in focusing on the dominant portions of the marks. The Goods and Services: The goods in the cited registration are general in nature and cover all types of clothing (including athletic uniforms and sweatshirts). Applicant's services relate to sports apparel and the clothing items sold comprise a subset of the goods of the registration. Thus the involved goods and services "substantially overlap." The evidence showed that several third-party apparel retailers sell clothing bearing their own marks as well as apparel bearing the names and logos of sports teams. This suggest that "consumers are accustomed to seeing a single mark associated with a source that sells its own branded clothing (as does the Detroit Athletic Club) as well as sports-teams-branded clothing (as does DACo.)." Applicant maintained that consumers would have little trouble distinguishing between appellant's clothing store and registrant's private social club. The court found that irrelevant because the focus must be "on the goods and services described in the application and registration, and not on real-world conditions." (emphasis by the court). Trade Channels: Because the registration includes no restrictions on channels of trade or classes of consumers, the Board did not err in finding that registrant's trade channels are broad enough to encompass applicant's trade channels. Even if, as applicant maintained, registrant sells its clothing only in its gift shop to club members, that is irrelevant, since the du Pont analysis must consider the channels specified in the application and registration, not those of the real world. Moreover, "the owner of an unrestricted registration is entitled to change its current trade channels at any time," and it cannot be assumed that registrant will never sell clothing online or through third-party distributors. Lack of Actual Confusion: The court observed that the relevant test is likelihood of confusion, not actual confusion. Evidence that consumers are not confused is relevant but not dispositive, particularly in an ex parte context. Moreover, applicant's evidence - a brief consumer affidavit and several Internet search results and online reviews - did not establish a lack of consumer confusion in commercially meaningful contexts. Substantial evidence therefore supported the Board's dismissal of applicant's evidence as non-probative. Conclusion: The Board appropriately balanced the relevant du Pont factors. It was not required to consider every factor, but rather may focus on dispositive factors. Moreover, the Board was not required to address each item of evidence offered by applicant as to registrant's actual services, since "it is the scope of the club's registration that is relevant in this context, not its actual practices." And so the CAFC affirmed the Board's ruling. TTABlog comment: When considering the du Pont factors, don't forget that the TTAB is not the real world. "Real world" is potentially an implicitly misleading term in this context. Some may take the term to mean that Board decisions are decisions about hypothetical "fantasy world" scenarios. But for ex parte appeals, the Board (and the registration system) counts on the applicant (and the registrant, if a registration is involved) to have set forth in the application and/or registration what the actual, material, real world use conditions are. Remember, statements about use in applications are filed under oath. The same is true even in opposition proceedings. It is only in cancellation proceedings that the Board may become concerned with facts in the "real world" (as most people understand that term) -- i.e., facts that go beyond or contradict the application and registration. Anonymous said "the Board (and the registration system) counts on the applicant (and the registrant, if a registration is involved) to have set forth in the application and/or registration what the actual, material, real world use conditions are." I disagree. There is no requirement that an applicant limit its goods to "the actual, material, real world use conditions." If a cited registration appears to be too broad, Section 18 provides a remedy: rectification or restriction.